20th year of Summer Camps! Call 412-0102, option 1, or click below to register! Click here to read a full page testimonial from a summer camp parents. 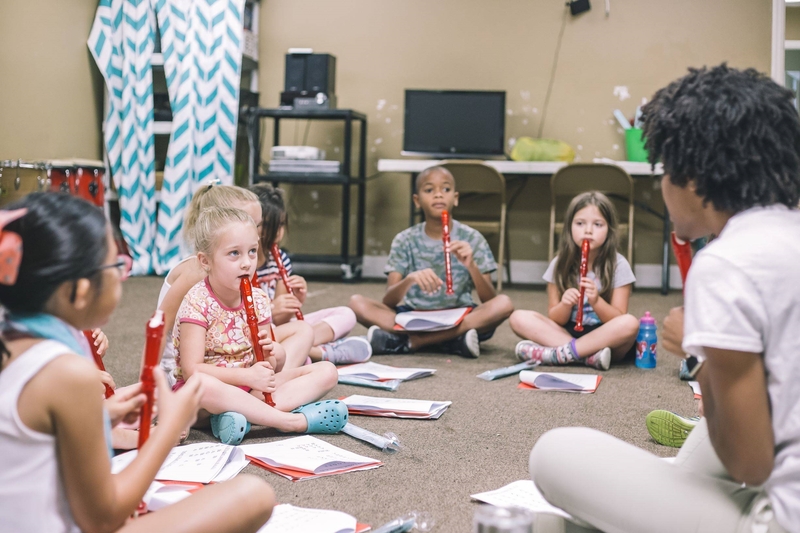 Mason's School of Music, Dance and Arts After School offers all day summer camps and half day summer camps to students from 3 years old through 18 years old. Click here for a song or dance from one of our end of the week shows from last year! These camps combine music, dance, drama and art. Our main focus is the show on Friday for family and friends. Each week we learn songs, dances, paint backdrops and learn lines based on the theme for that week, and put it all together in the Friday show. Students can sign up for a few or as many camps as they wish. Campers need to bring a lunch and two snacks each day, except only the snacks are needed on Friday, as we have a pizza and ice cream party on Friday. Students stay on site at Mason's for the entire camp. This is our camp that teaches the campers to play many instruments. 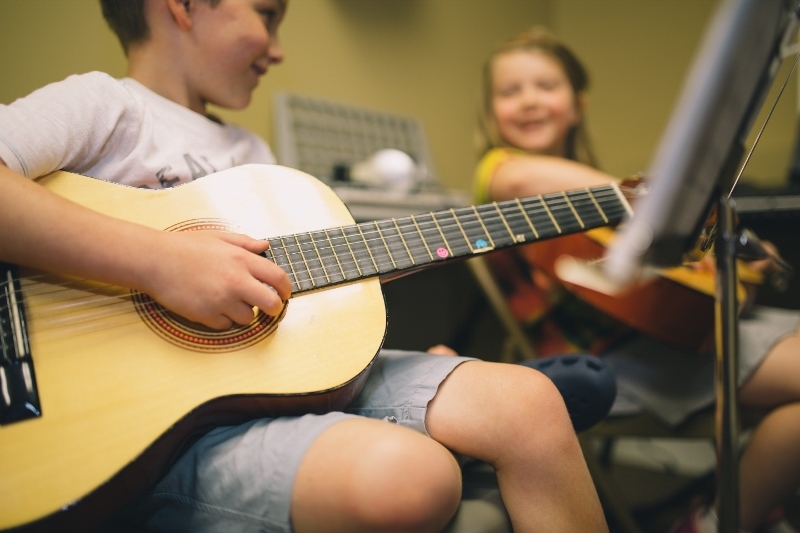 We will learn guitar, piano, drums, recorder and other instruments through a variety of fun activities designed to give them an overview of each instrument. This is a great camp for a student that is not sure which instrument to study or for the student that just wishes to learn more about the different instruments. 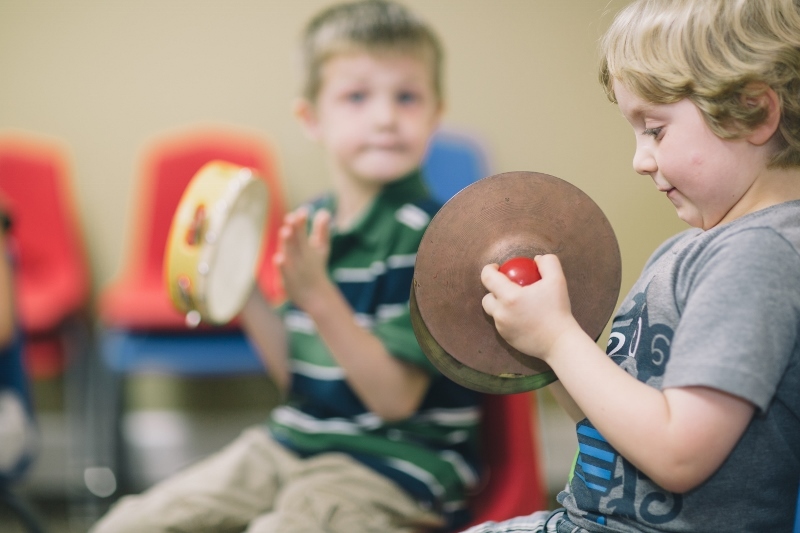 Preschool age students are introduced to musical concepts through singing, movement, creative drama, arts and crafts, playing rhythm instruments, and other activities all designed to give these young children a great start in music. We will put all these together and perform a show for family and friends on Friday. Preschool music camps are held at the NE Tallahassee location, located at 3384 Capital Circle NE. The guitar summer music camp is for the beginning-intermediate guitar student who wishes to learn more about guitar through individual and group playing. The camp will begin with basic concepts and techniques and progress to note and chord reading as well as basic music theory. This is a great camp for campers that want to get started with the guitar, or to see if it is an instrument they wish to pursue further. The Introduction to Guitar Camp is located at the NE Tallahassee location, located at 3384 Capital Circle NE, in Tallahassee. The piano summer music camp is for the beginning-intermediate piano student who wishes to learn more about piano through expanded skills and techniques. The camp will begin with basic concepts and techniques and progress to hand positions and chords. This is a great camp for campers that want to get started with the piano, or to see if it is an instrument they wish to pursue further. 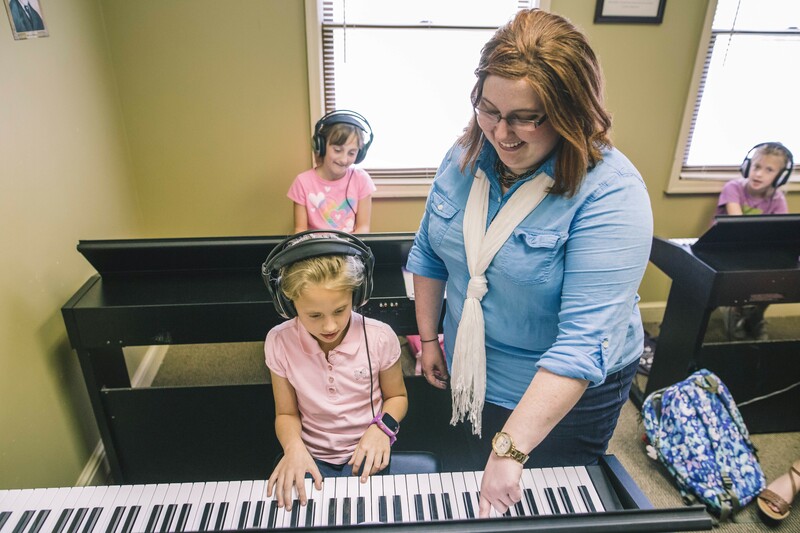 The Introduction to Piano Camp is located at the NE Tallahassee location, located at 3384 Capital Circle NE, in Tallahassee. The Introduction to Drums Summer Camp is for the student who wishes to learn more about the drums set, hand drums and other percussion instruments. 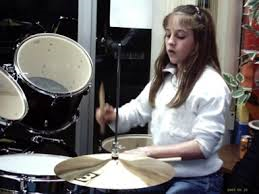 Campers will explore many types of drums and percussion instruments while learning basic rhythms and techniques. This is a great camp for campers that want to get started with the drums, or to see if it is an instrument they wish to pursue further. 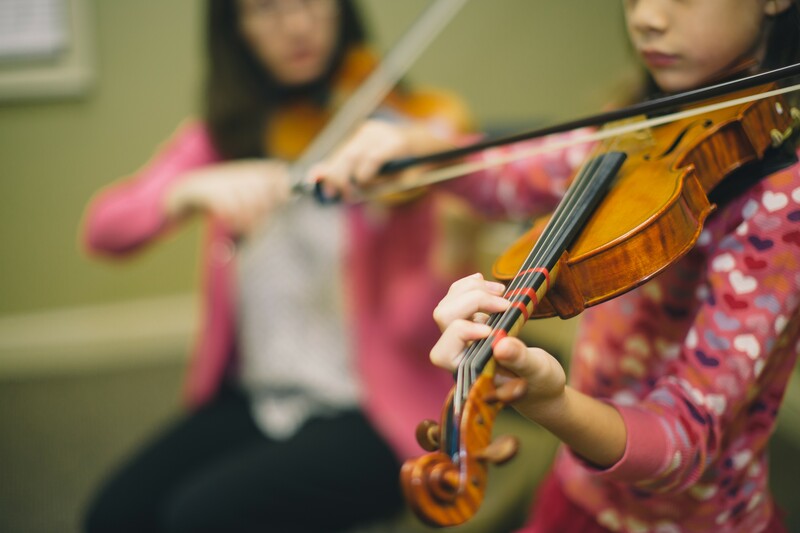 The strings summer music camp is for the beginning-intermediate students of violin, viola, cello and string bass who wishes to learn more about their instrument through individual and group playing, with the emphasis on learning and playing in ensembles. Students will learn their individual parts that they will play in the larger ensemble. Students will learn more about theory and how their instrument fits in the orchestra, and will showcase what they have learned in a show on Friday. Students need to bring their own instrument. 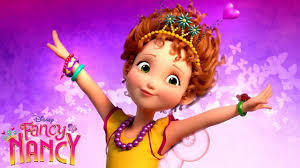 Join Fancy Nancy in learning basic ballet positions and steps, and on Friday there will be an “End of Camp” performance for family and friends. Dancers will also have fun playing games, making crafts and enjoy a snack each day. Dancers should wear and solid color leotard, tights and ballet slippers. See below for the optional full day option. Cost: $95 per child $85 each sibling. 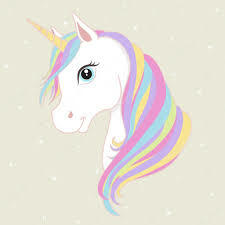 Dancers will love doing everything unicorn in this fun camp filled with ballet, hip-hop, jazz, crafts, costume design and more! Snack will be provided each day and dancers should wear comfortable clothes and shoes they can move in. Dancers will showcase what they have learned in a Friday show for family and friends.